To say that the performance of Kenya Premier league teams in international has been below par would be an understatement. In fact their performances have been pathetic especially considering what was happening 10 years ago. The Kenyan league was supposedly in a dark period 10 years ago. With Gor Mahia and AFC constantly battling relegation and with the league being run by an incompetent KFF, Kenya football was in its lowest ebb. Despite all this however, Kenyan clubs excelled in regional tournaments and performed admirably in continental tournaments. Tusker won the CECAFA club cup in 2000 and again in 2001 when they beat Oserian in an all Kenyan final. 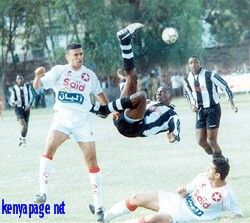 Even Ulinzi held their end of the bargain, reaching the CECAFA cup final in 2004 before losing to hosts APR of Rwanda. On the continental scene too, Kenyan clubs acquited themselves really well. Having eliminated St George of Ethiopia, Tusker came up against Tunisian giants Esperance. They won the 1st leg 2-1 before losing 0-1 in Tunis. With an aggregate score of 2-2, Esperance went through on away goals rule. Not without controversy however. Esperance fielded an ineligible player. Tusker protested but their protests fell on deaf ears. That same year, Oserian walloped Burundian representatives Arabica Kirundo 5-2 on aggregate. Note that nowdays, both Kenyan clubs and the national team have difficulty beating Burundian sides. In 2013, Harambee stars were eliminated by Burundi CHAN qualifiers while Gor Mahia lost 0-1 to Atletico, a team that was 3rd in the Burundian league. After beating Arabica, Oserian were matched against Etoile du Sahel of Tunisia. The Twahir Muhiddin coached side won the first leg 4-2 in Naivasha before losing 2-0 in Tunis thus exiting on goal aggregate. It is difficult to imagine a Kenyan team winning 4-2 against Tunisian opposition nowadays. A year earlier, Tusker lost 3-2 on aggregate to Egyptian giants Al Ahli. They won the 1st leg 1-0 before losing 3-1 in Cairo. In 2002, it was Oserian who took on Al Ahli in the champions league. The Oserian side coached by Twahir Muhidin and fielding players like Hillary Echesa and Anthony Shikubu, lost 1-2 on aggregate. In 2005, a Tusker side with players like Mulinge Munandi, Moses Odhiambo, George Owino and Victor Onyango walloped KMKM of Zanzibar 7-1 in the preliminary round before losing 2-3 on aggregate to Egyptian champions Zamalek. These performances were commendable and a stark contrast to what pertains today. In fact these Kenyan sides would have gone further had they not constantly had to face Egyptian sides. In 2012, 2013 and 2014, Gor Mahia, AFC Leopards and Tusker all participated in continental and regional tournaments. In 2012, Tusker played in the CECAFA club cup with coach Sammy Omollo at helm. They featured players like Jarry Santo, Joseph Shikokoti, and Peter Opiyo. They exited the CECAFA having finished dead last in their group and scoring no goals. AFC Leopards for their part were in the 2014 Mapinduzi cup. They too existed the tournament having not scored a goal. They lost 0-3 to KCCA of Uganda, lost 0-1 to Simba of Tanzania before ending with a 0-0 draw against lowly KMKM of Zanzibar. Gor Mahia for their part were in the 2014 CECAFA club cup. They ended with 2 draws and 2 losses, scoring 5 goals and conceding six. Gor Mahia’s performances in continental tournaments since 2012 has been sorrow inducing. In 2012, they lost 0-4 to Ferroviario of Mozambique. In 2013, they lost 0-3 to ENPPI of Egypt. And in 2014, they succumbed to a 8-2 aggregate loss to Esperance. Tusker for their part lost 0-1 aggregate to APR of Rwanda in the 2012 Africa champions league. In 2013, they lost both home and away to Al Ahli for a 1-4 aggregate loss. A far cry from 10 years ago when they gave Al Ahli and Zamalek nightmares. AFC Leopards put on a decent fight but still went down 4-2 to Supersport United of South Africa. It was a lucky break for Leopards not to be pitted against an Egyptian or Tunisian side as is almost always the case, however, they could not take advantage. Why are the standards falling ? 10 years ago, virtually all Kenyan sides were amateur. The league was haphazardly run, had no sponsor or broadcast partner and was rife with corruption, parallel leagues, constant FIFA bans. The best Kenyan players earned less than KES 20,000 per month. Yet Kenyan clubs still managed performances that were much better than today’s performances. Today’s league has a sponsor, a broadcast partner, is properly run and with better crowds. The player pay is over five times what it was 10 years ago. Part of the reason is that though teams are better funded, they have not invested in youth development as other African teams have done. The result is that the gap between North African sides and their Kenyan counterparts keep increasing. This gap in technique, tactical awareness and skill levels was laid bare when Gor Mahia played Esperance this year. More money does not equate better results. Ugandan and Burundian sides do not have better finances than their Kenyan counterparts. Part of the problem in Kenya is that the City is so crowded that youth growing up in Nairobi today have literally no place to play football and sharpen their skills. This is especially true for youth who live in slum areas. Its a fact that Kenyan players from the 1970s and 1980s were far more skilful than today’s players. In those days, every estate built in Nairobi was built with a playing ground. Today no such planning exists. 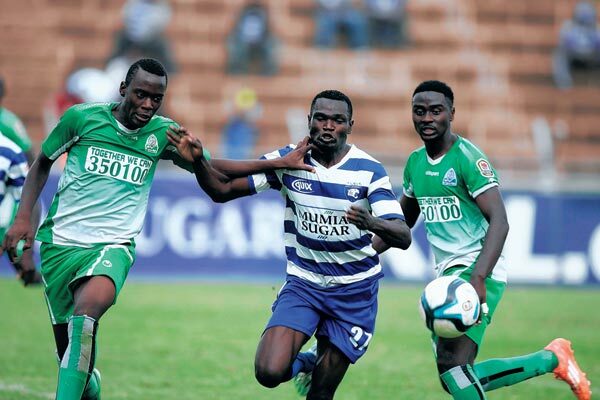 This entry was posted in AFC Leopards news and articles, Kenya Football News and Commentary, Kenya Sports news and commentary and tagged afc leopards, Gor Mahia FC, Tusker FC, Tusker premier league. Bookmark the permalink. This article is a bit naive. Kenyan clubs have not impressed continentally since the 80s. You forget to mention that the same way Kenyan clubs immediately failed against North African clubs is the same way they do now. And the North clubs have witnessed bigger improvement as compared to Kenyan clubs. The most important thing here is finances, which extends to club management. Zamalek and Club Africain are circus-clubs in the manner of Gor- AFC but money masks this. The lose of idle fields in urban areas is more a testament to economic progress than the death of football. The standards have not dropped, its the same exiting at the first round that is happening. As for CECAFA club cup, it honestly has lost its lustre.